The annual Boone County Spring Clean-Up will take place April 3 - April 6, 2019. Boone County residents may dispose of accepted items at two locations including Boone County Public Works on Maple Wood Dr. in Burlington and the Former Site of the Union Pool in Union. Boone County is holding a free citizens academy program called ENGAGE for residents or business owners that are interested in learning more about County Government. Moody’s Investors Service has assigned a Triple –A (Aaa) rating to Boone County’s $4.4 million General Obligation (GO) Bonds, Series 2018. Moody’s has also upgraded to Triple A, from Double A (Aa1), the rating on the County’s $9 million of rated outstanding GO Debt. The Annual Christmas Tree lighting and visit with Santa will take place outside the Ferguson Center at the Boone County Historic Courthouse on December 7, 2018 from 6-8pm. Enjoy music, refreshments and a visit from Santa as the Burlington Christmas Tree is lit for the first time. Homeowners all across Boone County pay property taxes to support a variety of state and county services. 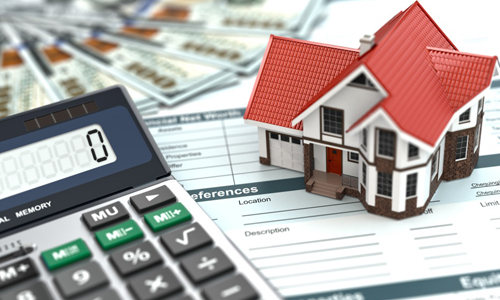 It is important to understand how your property tax bill is created and who sets the tax rate. Trick-Or-Treat Times have been set for 6pm-8pm on Wednesday, October 31, 2018 in unincorporated Boone County. Please turn your porch light on if you wish to participate. Have a safe and Happy Halloween. Boone County Animal Care & Control will host the 7th annual Pawapalooza on September 22, 2018 from 12 noon to 5pm. The event will be held at the Boone County Fairgrounds in Burlington and will include a number of activities for the entire family . A portion of KY 20 in Petersburg, Kentucky was dedicated as the Charles "Chalkie" Fleek Memorial Highway on Friday, August 17, 2018. Charles Fleek is the only Boone County recipient of the Congressional Medal of Honor. Tickets are on sale now for the 2018 Senior Picnic. This long-standing Boone County tradition will be held on Wednesday, September 12, 2018 at the Boone County Fairgrounds. Tickets are $6 (cash) and are available at the Boone County Administration Building. The Boone County Planning Commission is currently working towards completion of the five year update to the County's Comprehensive Plan titled Our Boone County - Plan 2040. For more information and to stay engaged in the process, visit the website or Facebook page today! The 2018 Boone County 4H & Utopia Fair will be held August 6-11, 2018. For a complete schedule of activities, events and Fair information, visit the Boone County Fair Website. Rice Pike at US 42 will close on May 1, 2018 for 90 days to allow for the reconstruction of the intersection. There will be variable message boards installed near the intersection and a signed detour will be in place prior to the closure. The Department for Local Government (DLG) approved funding for a $1,000,000 Community Development Block Grant (CDBG) to the Boone County Fiscal Court. The Boone County Clerk and PVA Offices will be open normal hours on March 30 due to the normal demand for services on the last day of the month. All other County Offices will close at noon in observance of the scheduled spring holiday. Boone County has rescinded the Level 1 Snow Emergency issued 1/15/18 effective immediately. Slick spots may exist in places on roadways - please use caution while driving. Boone County has declared a LEVEL 1 Snow Emergency effective immediately (1/15/18) and in effect until rescinded. Motorists are advised to use caution due to hazardous road conditions resulting from accumulations of snow and/or ice. Overnight on January 11, 2018, the Boone County 911 Center experienced an outage during which calls were routed to Kenton County per protocol. A message intended for first responders and emergency personnel was inadvertently sent to subscribers of the CodeRed alert system. The way Boone County residents receive news is getting an upgrade. Starting on December 1, Boone County, Boone County Public Library (BCPL), and Boone County School District (BCS) will use innovative technology to reach citizens more effectively and on a more personal, engaging level. As the weather forecast for Boone County is predicting snow, sleet and freezing rain overnight and during the morning commute for January 7-8, Boone County Public Works is preparing and will be ready to respond. Please use caution and be careful as roads may be slick! The Historic Courthouse renovation is nearing completion. Beginning January 2018, the Community Hall and Conference Room will be available for use. Reservation information can be found here. Trick or Treat times for Unincorporated Boone County will be October 31 from 6-8PM. Residents who are interested in participating are asked to turn on their porch lights. On Saturday, October 28, 2017 between 10:00 a.m. & 2:00 p.m. the Boone County Sheriff’s Office, in conjunction with the Drug Enforcement Agency, will participate in the 14th National Prescription Drug Take Back Day at three locations throughout Boone County, Kentucky. Join the Parks Department for the annual Jack- O-Lantern Walk on October 28, 2017 from 7:30pm to 9pm at the Boone County Fairgrounds. If you would like to enter the Jack-O-Lantern Contest please visit www.boonecountyky.org/departments/parks or call (859) 334-2117. The Boone County Fiscal Court has voted unanimously to lower three separate tax rates for the citizens of Boone County including Real Property, Personal Property, and the Motor Vehicle Tax rates. OKI to hold a public open house for citizens to provide input for the Boone County Transportation Plan. The open house will be held on Tuesday, August 29, 2017 from 4-7pm at the Main Branch of the Boone County Public Library in Burlington. Please be advised that Spectrum Cable has changed the location of the Boone County Public Access Channel. Formerly Channel 15 on Spectrum Cable, Boone County is now on Channel 203. The Boone County Farm Tour will be held on June 24, 2017 from 10am-3pm at various farm locations throughout Boone County. For complete information, visit the Farm Tour website. The Boone County Fiscal Court is scheduled to hear second reading of the 911 dwelling unit fee at the April 18, 2018 meeting. The proposed 911 fee of $75 would replace the current 911 landline fee. For complete information, click here. Boone County staff has been meeting with groups across the county to share information about the need to upgrade the county's emergency communications system and to listen to input regarding possible funding sources. The Boone County Parks Department will begin taking reservations for Park shelters on March 1, 2017. Shelters must be reserved if being used between April and October. Please contact the Parks Department at 859-334-2117 between 8am -5pm beginning 3/1. You must speak to a staff member (no messages). Judge/Executive Gary W. Moore shares his reflections on the past year and the future of Boone County. Please click here to read. The Boone County Fiscal Court is pleased to announce the launch of a new tool for County financial information. OPENGOV is now available by clicking here. The Fall Household Waste Collection event will be held on Saturday, November 5. Residents of Boone, Campbell and Kenton counties can drop off select items from 9 a.m. - 2 pm at UC Health Stadium - Home of the Florence Freedom,” in Florence, KY. The NKY Heroin Help-Line Number has changed to 859-415-9280. Both the original and new numbers will continue to function for the transition period. Please note this change and share with anyone who would benefit from having the contact information. The Tuesday, November 1st, 2016 meeting originally scheduled for 8:30 AM will have a time change to 5:30 PM. The I-71 Southbound ramp closure from I-75 North that was scheduled for October 21- 24 has been re-scheduled for October 28 at 8pm- October 31 at 5am. The Boone County Parks Department has announced a schedule of upcoming events for the fall/winter. To view the list, visit the Boone County Parks Facebook Page! Boone, Campbell and Kenton Counties and St. Elizabeth Healthcare Partner to Launch the Northern Kentucky Regional Substance Use Helpline with Addiction Services Council. The Hotline number is 859-415-9280. Begin Your Law Enforcement Career Today. Apply to become a part of one of the best Correctional Organizations in the Country. Pick up an application at the Boone County Jail. The Historic Burlington Business Association sponsored the annual Boone County Heritage Day and Chalk Festival on July 9 from 10am-3pm at the Boone County Administration Building. The annual volunteer Reforest Northern Kentucky event will take place April 2nd from 9:30 a.m. until 12:30 p.m. in Boone County at England-Idlewild Park, 5550 Idlewild Road, Burlington, KY 41005. A new road connecting Ky 237 to Limaburg Road is now open. The new connector is an extension of Gateway Boulevard. Boone County is prepared when you are prepared. PrepareAthon is designed to increase the number of citizens who Understand which disasters could happen; Know what to do to be safe and limit damage; Take action to increase their preparedness; and Participate in emergency planning. Al County Offices will be closed on Friday, December 23, Monday, December 26 and Monday, January 2 in observance of the Christmas and New Year Holidays. Merry Christmas and best wishes for a very happy New Year. Boone County is ranked as one of the best counties in Kentucky for overall child well-being, according to the 2015 Kids Count County Data Book released by Kentucky Youth Advocates.For the full story click here. April 30, 2016 is “National Prescription Drug Take-Back Day” . Visit http://bit.ly/TakeBackThursday to learn where pill drop box locations are in NKY. Boone County and the City of Florence offers Christmas Tree Recycling and Tree Pick-Up. For complete information and pick-up schedule, click here. The 2016 Trick-or-Treat hours in Boone County will be Monday, October 31, 2016 from 6:00 pm - 8:00 pm.